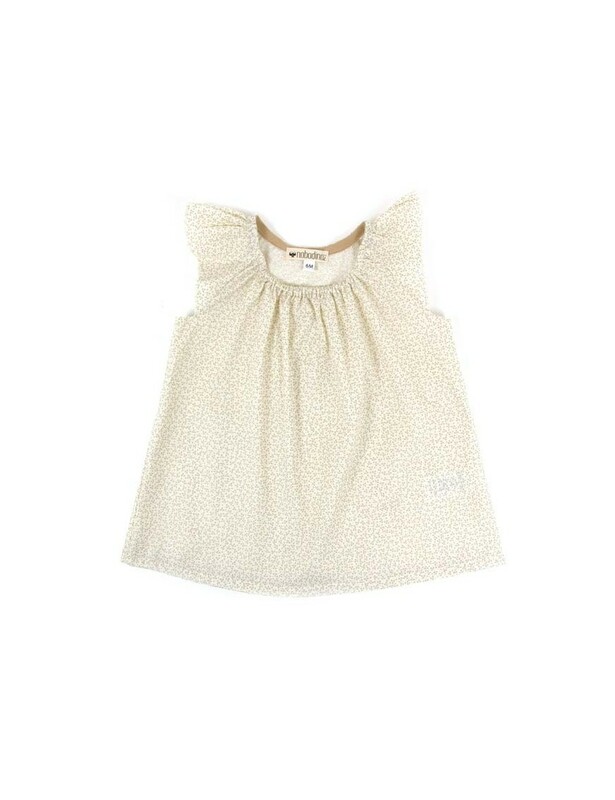 Baby girl blouse by Nobodinoz. Baby girl blouse with butterfly sleeves and a sparkles print, with gathers at the neck . Light blue dotsprint on taupe cotton. A-line cut and elasticated neck for extra volume and comfort. A must-have for baby girls.